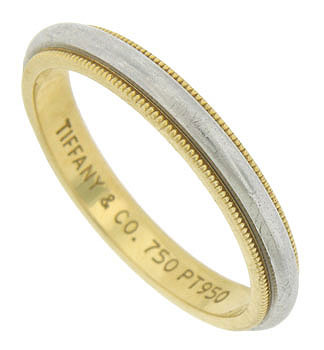 This classic wedding band is a study in simple elegance. 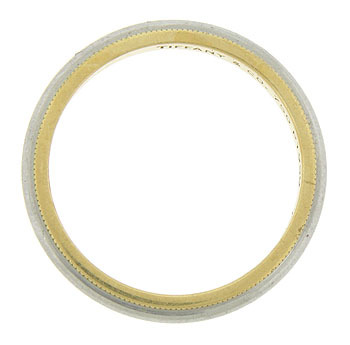 A ribbon of platinum presses into a band of 18K yellow gold adorned with strings of distinctive milgrain decoration. 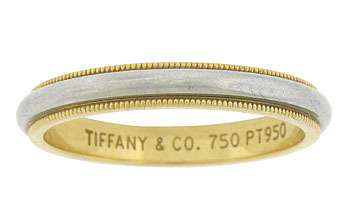 The estate wedding ring is created by Tiffany & Co. and measures 3.54 mm in width. Circa: 1970. Size 10 1/2. We cannot re-size.